Business description - Palm Jewels is engaged in the wholesale business of gold jewellery. The company’s registered office and business of operation is based in Ahmedabad. The company essentially sells gold based chains, bracelets and necklaces. It outsources the manufacturing of jewellery through job workers based in Ahmedabad and Mumbai. The major raw material used for making our products is gold & silver. The company procures gold & silver through the bullion market and partially from the local markets in Ahmedabad. Gold bars and other necessary material are provided to the job workers who are based either in Ahmedabad and Mumbai. However, no formal agreement has been executed with either of these job workers. The finished jewellery is sold by its marketing and sales team directly to other jewellery stores. 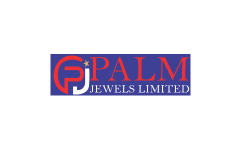 Palm Jewels IPO allotment status is now available on Karvy Computershare’s website. Click on this link to get allotment status. 7. The company secured a loan of Rs. 90 Lakh from Yes bank on October 2017 at an interest of 8.8% p.a. However the company’s financial cost stood at only Rs. 1.37 Lakhs as of Feb 2018. Bogus company, just doing trading and demanding such high price. AVOID! !